Quite a while ago we had another proud jungle painter in the studio for two days of MV Private Coaching. Andras from Hungary was visiting us in the studio! In the end, most time was spent to the first three topics. Raffa also had the feeling it was a good idea to spend more time there... the technical foundation of painting. 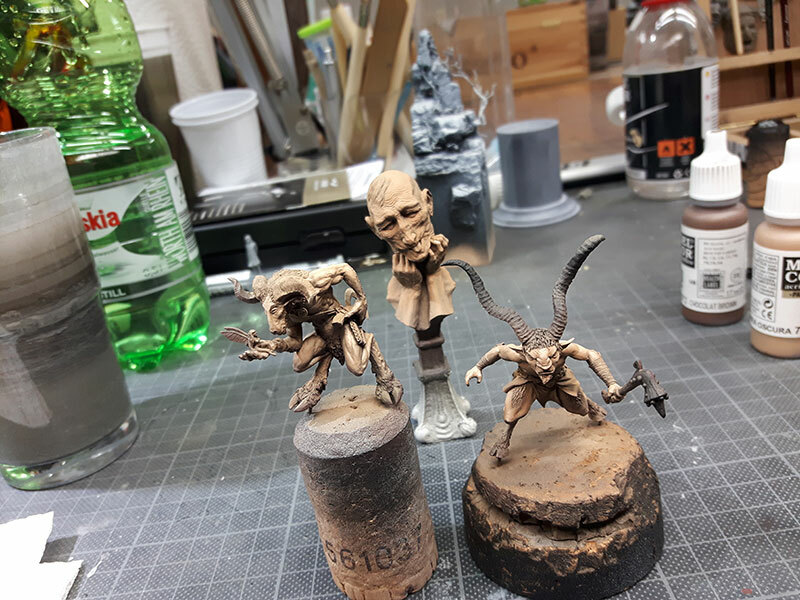 This January I decided it is time for me to get some real hands-on painting experience from the Massive Voodoo guys. Being a long time follower of the blog and their work it was obvious choice for me that once I make up my mind about a private coaching it should be with the Voodoo crew. And what a good choice it was. During the initial email conversations we discussed that my interests will be to understand and consciously apply techniques that make a mini "pop", and help it come to life. The small but invaluable touches that push the results from "this looks nice" to "wow". We have also settled on the model, as I had a Satyr from Blacksmith Miniatures lying around that I picked as a limited edition release, and wanted to treat it with the proper brushstrokes. The date approaching I became more and more excited until the day finally arrived. 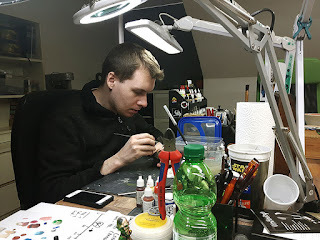 I entered the MV Studio where Raffa was already preparing some work for the day, some great tunes in the background, minis in cabinets, all the painting, basing, sculpting accessories on shelves...a real miniature painting magic world. Immediate immersion! 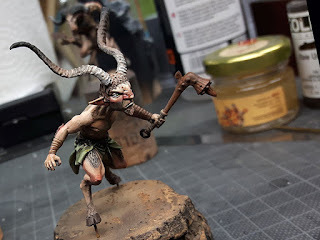 Raffa was super nice and welcoming, we sat down with a proper black coffee and had an intro and recap of my focus areas, a check on the minis I have brough along to get real life examples, and slowly we moved into color theory, light situations and application of those onto a 3D surface. 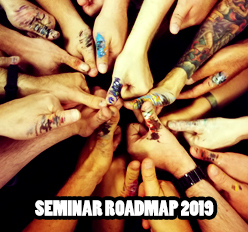 Two days worth of paiting seems a lot, but in such an ispiring environment where you realize that there is so much these guys can teach you, and you want to absorb everything, time just flies. 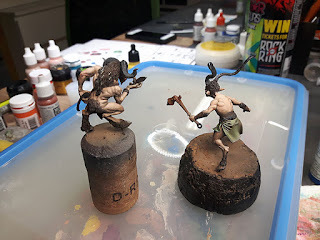 We soon moved over from theory to pratice, and got the minis primed. 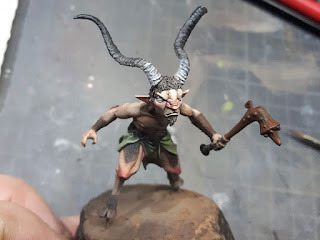 Raffa has found a Faun in the similar vein as my model, from Studio McVey, so we could start our painting using almost identical colors and methods, Raffa demonstrating as we progressed while I was applying the techniques on my mini. The Devil is in the details, as you can often hear, and its no different in the miniature painting world. One of the key take-aways of day one is not to rush, but take your time with the current volume, or body section you are working with. When you consider it is done already, put away the brush, and start looking at the surface from every angle. When I settled with this mindset I was continuously discovering a little shadow or highlight to be added, a definition or wrinkle I have missed, a small detail overlooked, etc. And this is one thing that can really push the end result. Day 1 we have mostly progressed with skin, and face, also the loincloth received some initial colors. 10 PM I left the studio with a lot of thought and excitement for day 2, as the workshop was already exceeding my expectations. Not to mention that I have also memorized the Last Samurai OST, but tht is a different story. 2) this is the right way to go as the face becomes vivid with color and expression. After this the eyes are the next step, before we dive into a paiting techniques and tips, Raffa puts together a great sketch for me, and demostrates it in practice on the model.The result is astounding, and surprisingly realistic. With enought care I am close to replicate it, which is again a great step forward for me. 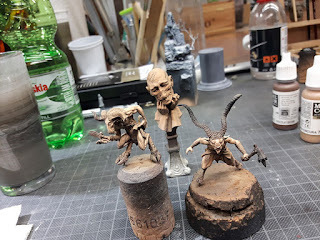 The mini at this point is ~60% done with leather and metallic parts outstanding, and these two areas will be the closing parts of the painting session. There is a debrief in the end, and group photo! All-in-all awesome two days with Raffa, a whole lot of information and details that you can only learn if you sit next to the person. 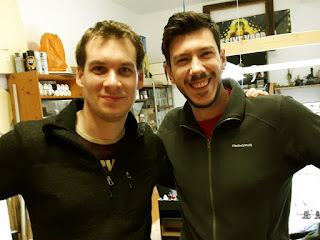 Both Raffa and Roman are super-approachable nice guys, and there is no doubt that these folks are the top of their game. My whole-hearted recommendation to anyone who considers taking this private coaching, you will not regret it.